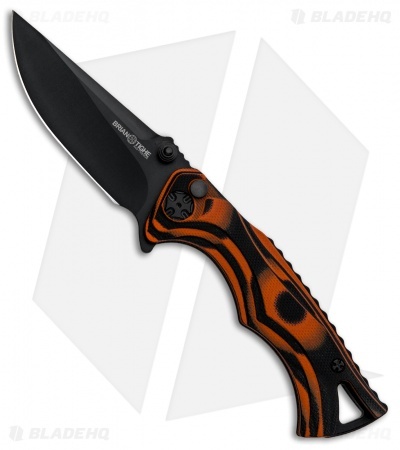 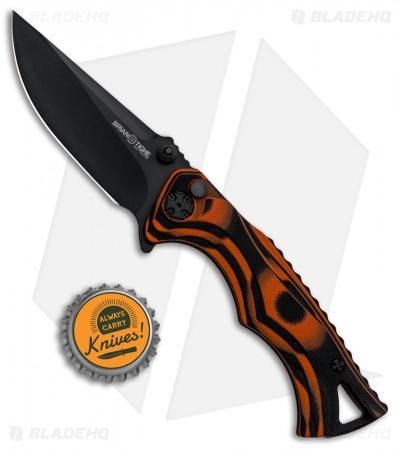 This Tighe Fighter model has a 3" black drop point blade with a flipper opener and a black/orange G-10 handle. 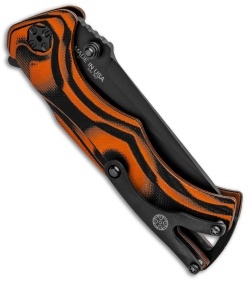 Based on the popular Tighe Fighter custom, this mid-tech series from Brian Tighe & Friends presents the custom design in a more EDC friendly format. The small version has a 3" blade made from 154CM steel and a grippy G-10 handle. A flipper opener with a convenient plunge lock provides rapid blade deployment and easy release. 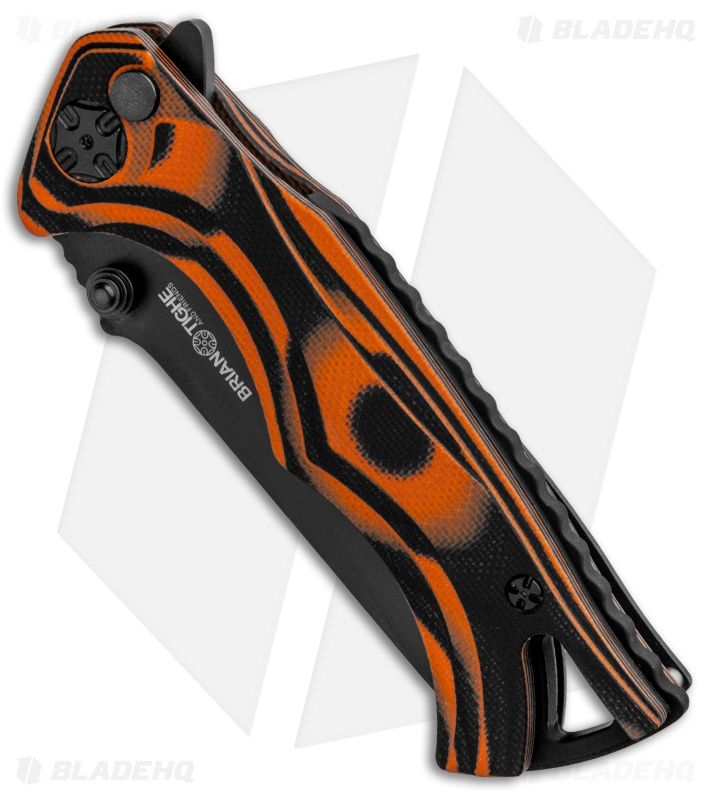 3D machined G-10 handles provide a comfortable, ergonomic grip.